"It's the Ryanair of pubs"
"Definitely the best beer I've had since the last one"
"Probably the biggest Micropub in the World"
What's your favourite beer style? Just Beer takes Nottinghamshire Pub of the Year! Prepare for IPA Day 2017! 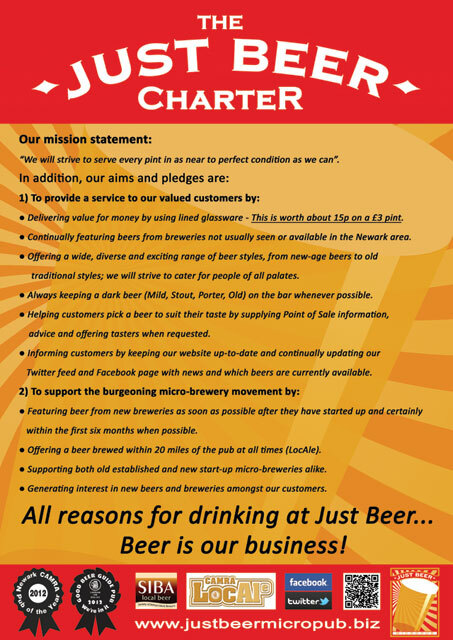 Just Beer takes Pub of the Year for fifth time! Lee Nixon on An unexpected lesson in brand authenticity. Robert Dobbins on Well we’re once, twice, three times a POTY and we looooove you! Dominic Heneghan on Iron Maiden Night 2nd July. Coby Glass on Just Beer goes Stateside.